Anna Bahow is committed to the development of new work and a diversity of voices. Bahow is an Associate Artist with The International Voices Project and Chicago Dramatists. She served as the 2011-2012 Michael Maggio Directing Fellow at Goodman Theatre. Her productions have received JEFF Awards for New Work and Use of Multi-Media. Recent work includes Mahuri Shekar’s A NICE INDIAN BOY for Rasaka Theatre and the world premiere of BREWED by Scott Barsotti. Bahow's work has appeared on many best of the year lists in Chicago, including 2013's INVASION! (TOP FIVE SHOWS of the year Kerry Reid Chicago Tribune) In 2016 she developed ZIRYAB with writer, musician and actor Ronnie Malley, traveled Italy to study with master directors at La Mama Umbria and directed and traveled with MY SWEET LAND by Amir Nizar Zuabi for Silk Road Rising, which was presented at London's Nour Festival 2016 and Toronto's Agha Khan Museum. Other directing work includes: Comrades Mine with City Lit, REWIND by award-winning playwright Laura Eason, The Rocks by Mark Young (JEFF Recommended - the side project), JEFF Nominated Odin's Horse with Infamous Commonwealth, (TOP FIVE FRINGE SHOWS of the Year, Chicago Tribune) and Sweet Confinement with SiNNERMAN Ensemble (AFTER DARK AWARDS: New Work, Ensemble, Set and Direction). MS. Bahow has also directed Broadway playwright Keith Huff’s Gray City with PTP, the critically acclaimed New Orleans with the side project (TOP FIVE FRINGE Shows of the Year Chicago Tribune, the JEFF Recommended Martin Furey's Shot with Timeline Theatre (special JEFF use of Multi Media) and Vintage Red and the Dust of the Road (JEFF Citation New Work, Steinberg Nominee Best New Work Produced Outside NY with Visions and Voices, producers). 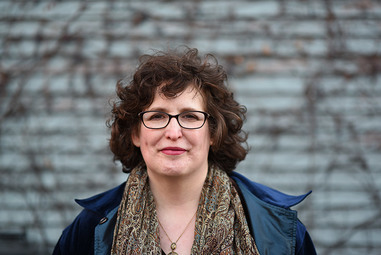 Committed to the development of new plays, Ms. Bahow has directed workshops and staged readings with Chicago Dramatists, Victory Gardens, Silk Road, American Theatre Company, Stage Left, and the side project among others. She is a past Program Director for the Women’s Theatre Alliance’s New Play Development Workshop and Festival in Chicago – which is dedicated to early career women playwrights. Ms. Bahow has taught playwriting in the Chicago Public schools for Chicago Dramatists, has conducted workshops at Lake Forest College with Victory Gardens Theatre, has served as a guest artist at Southern Illinois University and as an adjudicator for Dayton Playhouse’s National New Play Festival. She has worked with the Access Project at Victory Gardens as a director and producer for the Cripslam Showcase - a program which is open to people with disabilities. Interested in multi-media, Ms. Bahow has shot photos for her own shows as well as for other theatre artists in Chicago. She has studied filmmaking at Columbia College, has production-assisted for independent films and has directed her own short films.